Referrals for alcohol-related policy violations rose 272 percent from 2016 to 2017, according to the 2018 Annual Fire Safety and Security Report released on September 28. This is the largest jump in the last four years by both percentage and volume. In the four years prior to 2017, the number of annual violations ranged from 19 to 35 violations. Between 2016 and 2017, violations rose from 33 to 90. Some students have perceived an increased presence of Public Safety in social spaces centered around partying, according to Alcohol and Other Drugs Counselor and Educator Josh Ellow. 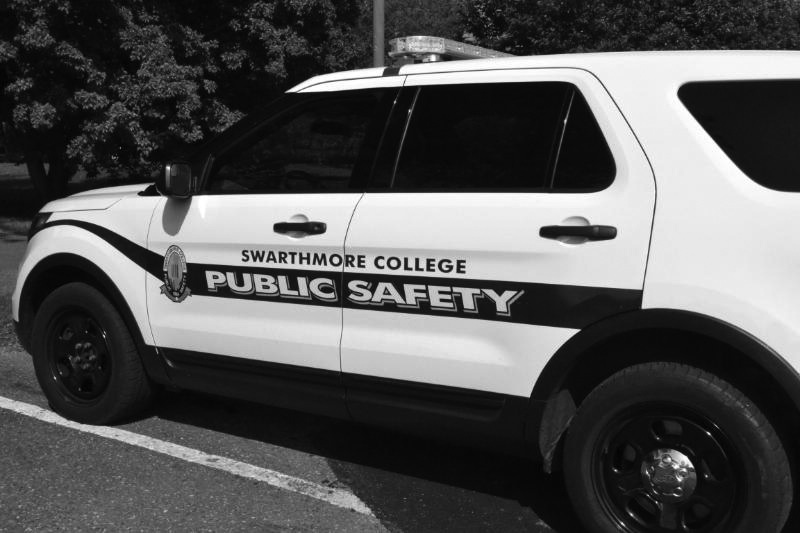 Ellow noted that the way Public Safety referred students seemed to change since he began at Swarthmore. “Last year for the first time ever, I saw unregistered parties really getting shut down, and so therefore in a single report, in a single public safety contact, there’s 11 plus people on that,” said Ellow, who was hired in 2013. College policy specifies that a group of 10 or more students with alcohol and without a permit is considered an unauthorized party, meaning that the reports are showing that Public Safety officers began including more attendees of unregistered parties on incident reports. The Swatter, The Daily Gazette’s transcript of the Weekly Clery Crime and Fire log, shows that Public Safety shut down more unregistered parties in the fall of 2017 than in the preceding spring. The number rose from two instances reported in the spring to seven in the fall, according to available Swatter reports. Swat team director Monie Deb ’19 attributed the shift in enforcement of the alcohol policy in 2017 to new officers being unfamiliar with campus norms. “Pub Safe has been much more active. I think it has to do with the shift in officers, there have been newer officers,” Deb said. An email sent out by Michael Hill on September 4, 2017 said that Public Safety had hired several new officers over the summer. Of the officers who joined Public Safety in 2017, one has a background in law enforcement, another in military policing, a third in corrections, and the fourth in corporate, campus, private, and contract security, according to the Public Safety website. When asked if officers hired in 2017 referred more students for disciplinary action than officers hired before 2017, Hill focused on student safety. “Every officer, regardless of their background, is expected to ensure the safety of every community member, and to enforce college policies as well as local, state, and federal laws,” he said. Deb noted that she has been seeing progress with Public Safety’s understanding of community norms. Deb also expressed that Swat Team wants students to stay safe when drinking alcohol, and that she feels students should come out to the parties where Swat Team can help. “We recognize that these drinking rules are much more enforced. It’s harder to drink at a party. But we would rather you drink at parties with the help of Swat team if need be, rather than pregaming so hard in dorms that you get so messed up that you never even make it out,” she said. Regarding enforcement of the alcohol policy, Hill said that fewer students were arrested for liquor law violations in 2017 than in the previous year. Students under 21 who are hospitalized for inebriation are classified as arrests in the Annual Fire Safety and Security Report. “While our referral numbers have gone up our arrests have gone down, which means less students are going to the hospital,” Hill said. Clery Act data does not show that a rise in referrals corresponds with a drop in arrests, however. From 2014 to 2015, the number of liquor law arrests rose by 23 arrests while the number of referrals also rose from 19 to 35. The next year, from 2015 to 2016, the number of liquor law arrests fell by 13, and the number of referrals fell from 35 to 33. 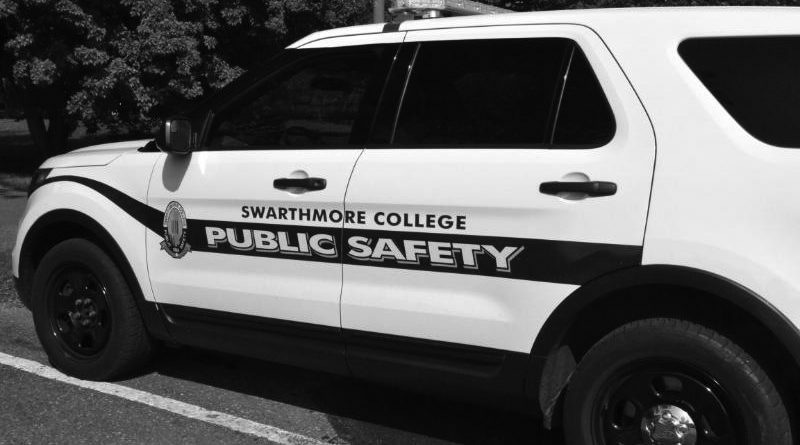 Hill said that Public Safety has been working to improve the department’s practices around the alcohol policy by including more members of the Swarthmore community in enforcing the college’s alcohol policy. Residential Community Coordinators have become more involved in the process of enforcing the alcohol policy. Specifically, RCCs started checking in on registered events in spring 2018. Rachel Head, assistant dean & director of student engagement, said that the purpose of RCCs is to keep students safe rather than search for policy violations from students. Head also noted that if an RCC witnesses an alcohol policy violation, they can take intermediate steps that do not involve a formal referral. The most recent data shows a shift in the enforcement of the alcohol policy. Whether or not liquor law violations referred for disciplinary action will continue to rise is yet to be seen and the data for 2018 will be available in the fall of 2019. Laura '20 is from Dover, Delaware. She is in the honors program studying political science and economics. Outside of the classroom and the newsroom, her interests include running, politics, and really good books.